Sometimes less publicized but equally as important is bicycle accidents. Bicycles have always been popular but recently with high gas prices and environmental concerns, they are not more popular than ever. When a car hits another car the injuries are serious and sometimes life threatening. When a car hits a bicycle the injuries are that much worse. A driver who is distracted can easily drift into the bicycle lane and cause catastrophic injuries to the bicyclist. Bicycles have the hazards of other drivers, but also the hazards of the road, such as an unmarked construction hole in the bicycle lane. 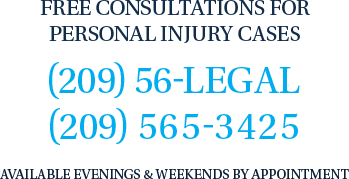 No matter the cause if you or someone you know has been injured in a bicycle accident, you need consult with a Modesto personal injury lawyer immediately.